Barbie And The boom Musketeers. Barbie And The boom Musketeers. HD Wallpaper and background images in the Barbie Princess club tagged: barbie and the tree musketeers. 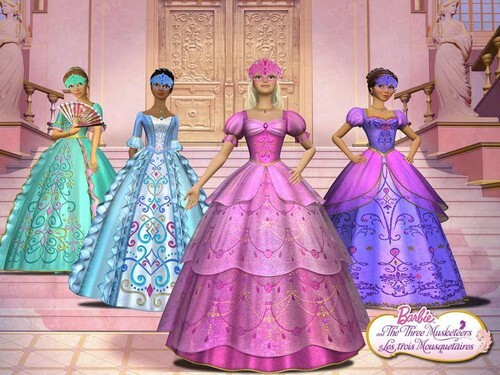 This Barbie Princess wallpaper might contain baljurk, bal toga, japon, jurk, hoepelrok, ​​hoepelrok, hoopskirt, and crinoline.